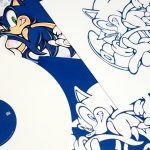 During this period of vinyl resurgence, it is great to see seminal Sonic the Hedgehog soundtracks are receiving LP incarnations, and as such, following on from 2017’s Sonic Mania vinyl soundtrack released through Data-Discs, Japanese record label Brave Wave have produced both Sonic Adventure 1 and Sonic Adventure 2 soundtracks in 12″ vinyl format. This first pressing of each soundtrack comes as either a double LP, or packaged as a limited edition box set containing all four LPs in a presentation case and the addition of a certificate of authenticity signed by the series sound director himself, Jun Senoue. As an absolute sucker for anything limited edition, I opted for the latter choice, shelling out an additional 20 euros for the full experience. 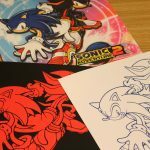 Opening the box, you are greeted by the Sonic Adventure and Sonic Adventure 2 box art in gloriously large dimensions, and to Brave Wave’s credit, perfectly reproduced in the original vivid colours and high resolution. 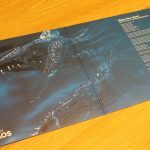 The gatefold for the Sonic Adventure OST impressively opens up for a full splash (pun intended) of Perfect Chaos straddling both pages, complete with lyrics to the game’s theme song Open Your Heart. 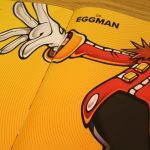 Both albums come complete with a large 20-page book, containing character artwork, lyrics to vocal tracks, and an interview with Senoue-san and series director (and now Sonic Team head) Takashi Iizuka. On the turntable the recordings sound fantastic having been remastered for the 180g pressing, with mixes that on the whole feel balanced and close to the original. 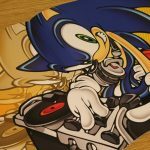 Tracks feel fully fleshed and in many cases the clarity offered by the medium really amplifies elements that many might have missed depending through what platform you’ve listened to the soundtrack previously; the Shadow side on the SA2 album sounded particularly fresh. Of course many will be buying these editions for the vocal tracks, which all sound satisfyingly grandiose in this format when played through a good sound system. 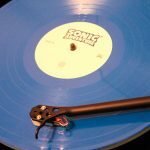 As with the Sonic Mania product, the limitation of producing a Sonic the Hedgehog soundtrack on vinyl is the available space; as such both OSTs have been truncated by approximately 50% when compared to their CD equivalents, which offer the more complete experience. As such, some real belters have been omitted from the roster, with a notable attrition of Knuckles vocal tracks from Sonic Adventure 2, and the almost ‘criminal omission’ of either rendition of Choose Your Buddy! 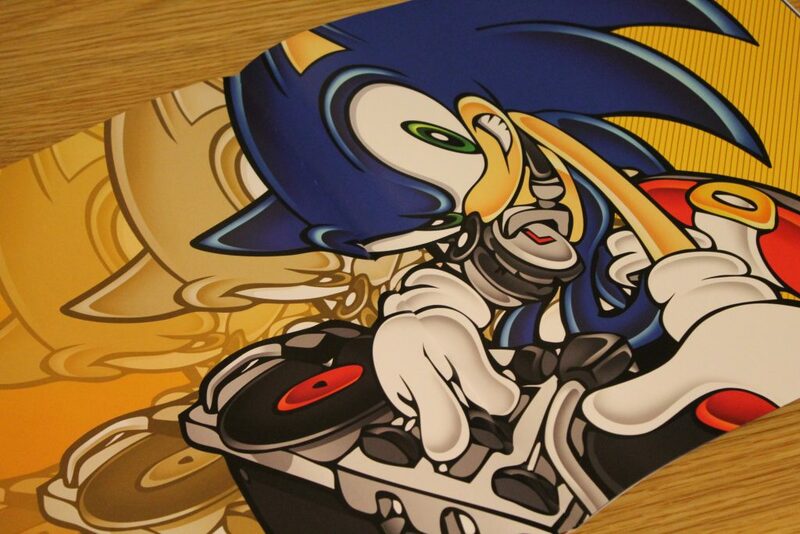 The sequence in which the tracks are presented feels a little odd as well as being inconsistent between each album, with Open Your Heart concluding side D on the Sonic Adventure soundtrack, while Live & Learn sits as the last track on side A on the SA2 album. 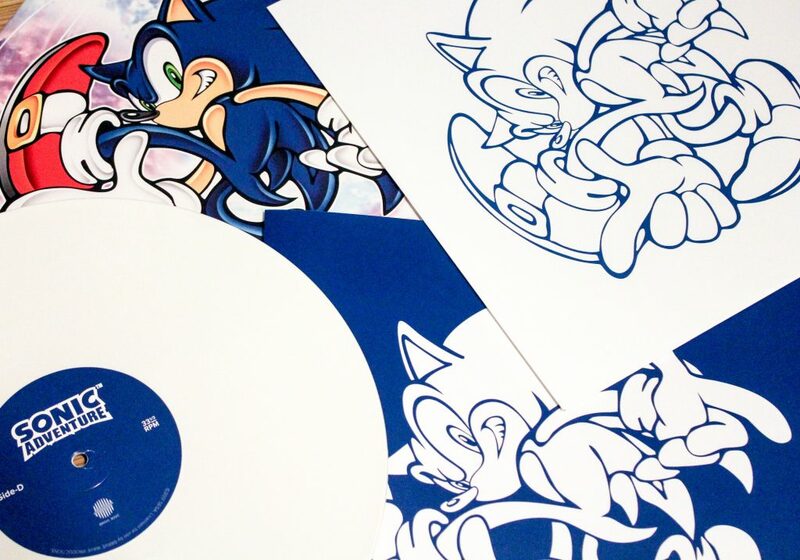 Given the wealth of artwork produced during the production of the Sonic Adventure games, the presentation of both products feels a little sparse, particularly given the opportunity the size of these vinyl editions present to showcase some of the series artwork by Yuji Uekawa, and really does seem like a missed opportunity to appeal to a larger audience. 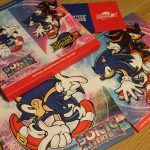 Those expecting E-102 gamma artwork will be disappointed at his complete exclusion from the SA1 booklet! The greatest disappointment I feel comes with the limited edition box set, which includes a cardboard box and little else. The cover of the box does little more than amalgamate the cover art from both games, and as such feels reminiscent of a bargain bin 2-for-1 DVD case, looking cheap and unexciting alongside other box sets in my record collection. The certificate of authenticity has a ‘street flyer handout’ feel to it, when I think something of this nature should really be produced on heavy gauge, high quality paper to embellish the premium paid. This edition comes across as an afterthought, and an opportunity to make a few extra bucks from die-hard fans; indeed they have succeeded, with this edition selling out as a pre-order. For a cover price of over £100 all said and done for British punters (about twice the price I would expect to pay for two double gatefold albums at retail, although probably not helped by our poor exchange rate), I would have expected a lot more. 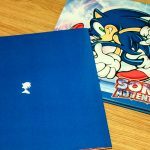 Overall, it is fantastic to see the soundtracks to the Sonic Adventure make it to vinyl, albeit in a truncated form, and that these are hopefully the first of many more Sonic the hedgehog re-releases on record in the near future. 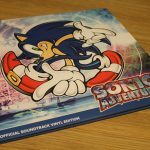 It is a real shame however that both soundtracks come at such a relatively high cost (€40 each plus postage in Europe), and that the limited edition box set has resulted in product that feels inferior to its individual constituents. That being said, Brave Wave have shown they are exceptional at their craft with their mastery of these two selections of highlights, from the titles that set the musical standard for the series for more than a decade.